When Apple releases new iOS version and makes them available to the public (millions of users), it is very common to see malfunctions and errors on several cases. One of the most common questions is how to Fix Freeze problem with iOS 7.1.1 version, and fortunately there is a solution for you! Fix Freeze problem with iOS 7.1.1 version – Why this is happening? There is not one reason why this Freeze problem with iOS 7.1.1 version exists and surely none can tell why this happened. Every situation is different, but there are some possible reasons behind it. You upgraded to iOS 7.1.1 version Over the Air (OTA) and your WiFi connection had errors. This means that the installation went bad and you should re-restore your iDevice. Your lightning/USB cable is damaged and the data transfer was tempered. Again, you will have to make a manual restore to your iDevice and fix it. The USB connector of your computer is not working properly. Unfortunately, a restore is required! 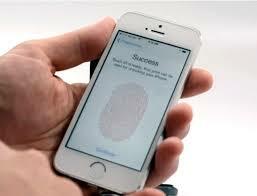 Since you will have to make a restore, it would be great if you have a back-up of your iDevice. Restoring an iDevice without having a backup is something very irritating, and unfortunately I learnt it with the hard way. Before beginning with the Restore, you really need to try a few fixes and see if you can overcome this Freeze problem on iOS 7.1.1 version. Hold Power and Lock button together for at least 10 seconds. Then start to use your iDevice normally and see if it managed to Fix Freeze problem with iOS 7.1.1 version. In a few cases, this method actually worked (I do not know why). Power off your iDevice and start to charge it. Leave it there for a few hours (during your sleep hours) and check it again in the morning. If those methods fail, then you will have to go for a restore. 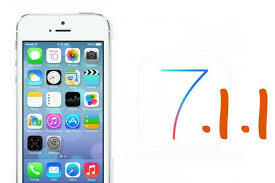 Click on the following link and follow our detailed tutorial to download and install the iOS 7.1.1 version. Fix Freeze problem with iOS 7.1.1 version – How to Download and Install it!